In an upcoming lecture at the University of New Brunswick, a specialist in peace and reconciliation in conflict zones will present the case for more women to be involved in global peacebuilding. In high-level peace processes around the world, the involvement of women is limited. A study by the International Peace Institute, examining 30 to 40 major peace negotiations from 1992 to 2011, found that only two per cent of chief mediators and nine per cent of negotiators were women. But another study from U.S. think tank Inclusive Security of 40 peace processes in 35 countries spanning three decades found that in negotiations where women’s community groups were able to greatly influence the process, all but one ended in a peace agreement. Ms. Sears, who is originally from Fredericton and is a UNB alumna, was awarded a master’s degree in international affairs from the Norman Paterson School of International Affairs at Carleton University, focusing on conflict analysis and resolution. She has worked for multiple non-governmental organizations and civil society organizations in various parts of Canada and around the world, including a year in Rwanda working in peace and reconciliation. 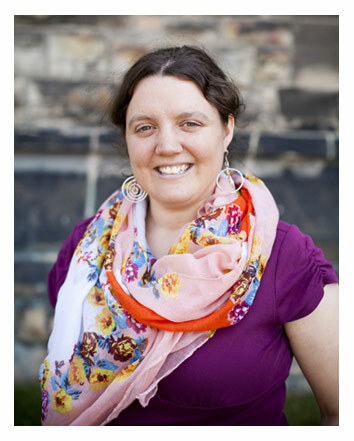 For the last seven years, she has been with the Mennonite Central Committee, including its program in Colombia, and is now a policy analyst in its Ottawa Office. She delivers the sixth annual Chareka Memorial Lecture at UNB, named after Ottilia Chareka, mother, activist, scholar and mentor. A three-time graduate of the faculty of education at the University of New Brunswick, Dr. Chareka was the first woman from her rural village in Zimbabwe to complete high school and went on from there to enjoy a stellar career as a teacher and academic. Throughout her life, she was a considerable advocate for others, including the many Zimbabwean girls she supported in educational endeavours, fellow immigrants to Canada, and the First Nations students she worked with at St. Francis Xavier University. When Dr. Chareka died in the spring of 2011, the faculty of education at UNB chose to honour her with an annual lecture in her name focusing on education as a vehicle for social justice, something that was a lifelong passion for her. Monday’s lecture begins at 7 p.m. at Marshall d’Avray Hall, 10 MacKay Dr., UNB, in room 261. A reception will follow. For those unable to attend, the event will be livestreamed. For interviews with Ms. Sears: Julie Bell, Mennonite Central Committee, juliebell@mcccanada.ca, (204) 261-6381. For inquiries related to UNB: David Stonehouse, University of New Brunswick, david.stonehouse@unb.ca, (506) 458-7925.